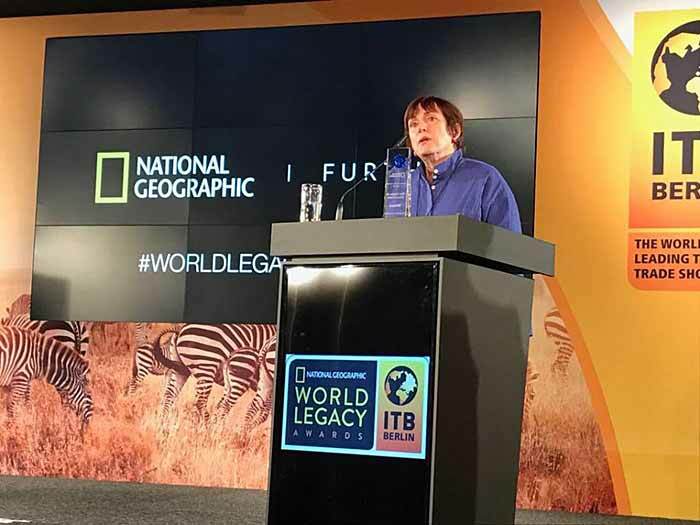 Congratulations to The Lodge at Chaa Creek for winning the National Geographic Travel World Legacy Award in the Engaging Communities category!!! 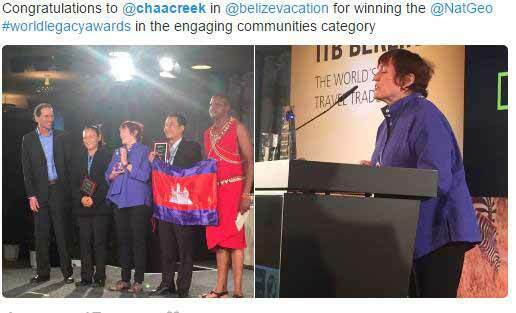 "One of Belize's first eco-resorts, the Lodge at Chaa Creek, nestled in a private nature reserve, demonstrates that putting people first benefits employees, local communities, its own bottom line, and the country's tourism industry as a whole. The lodge employs more than 160 Belizeans and provides extended economic benefits to villages, cultural, and environmental organizations across the nation through its tours and vacation packages, directing 10 percent of all room revenue to social and environmental programs. Annual training and workshops in culinary arts, hospitality, conservation, tour guiding, first response, and career development helps employees advance within Chaa Creek, start their own businesses, and enter management positions in Belize and abroad. The Lodge sponsors an Environmental Outreach Program, a free Eco-Kids summer camp, a secondary school scholarship program, and internships for local high school and college students. Guests see traditional agriculture in action at the Lodge's organic farm, shop at riverside villages on canoe trips, and take craft and cooking classes at women's cooperatives. 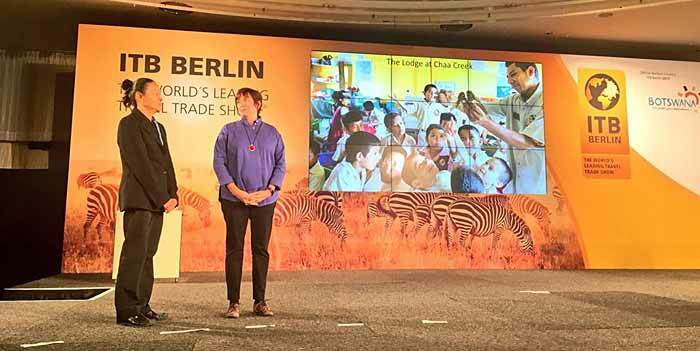 As a major employer, the Lodge has gained a stronger voice in influencing national policies to embrace sustainable tourism best practices." The resort was also named the 2017 Trip Advisors Traveler's Choice Award winner. 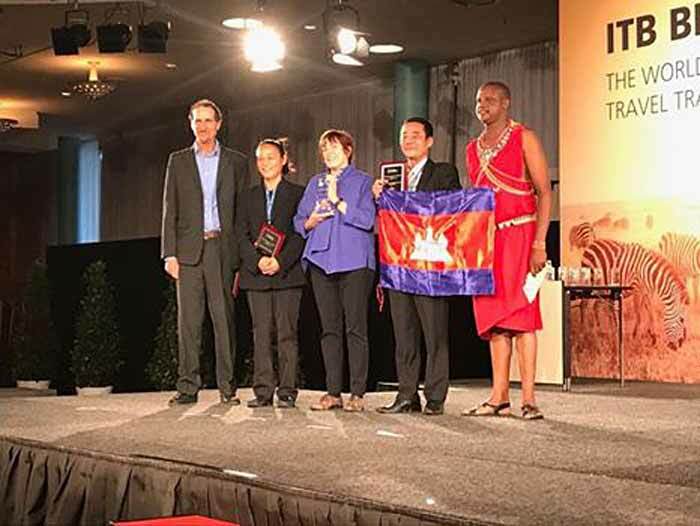 Chaa Creek's Mrs Lucy, Co-Founder of The Lodge at Chaa Creek on the big stage in Berlin representing us and all of Belize - accepting the "Engaging Communities" award and giving her acceptance speech!